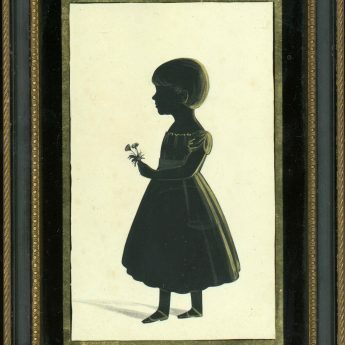 A charming full-length silhouette of a child holding a single flower. 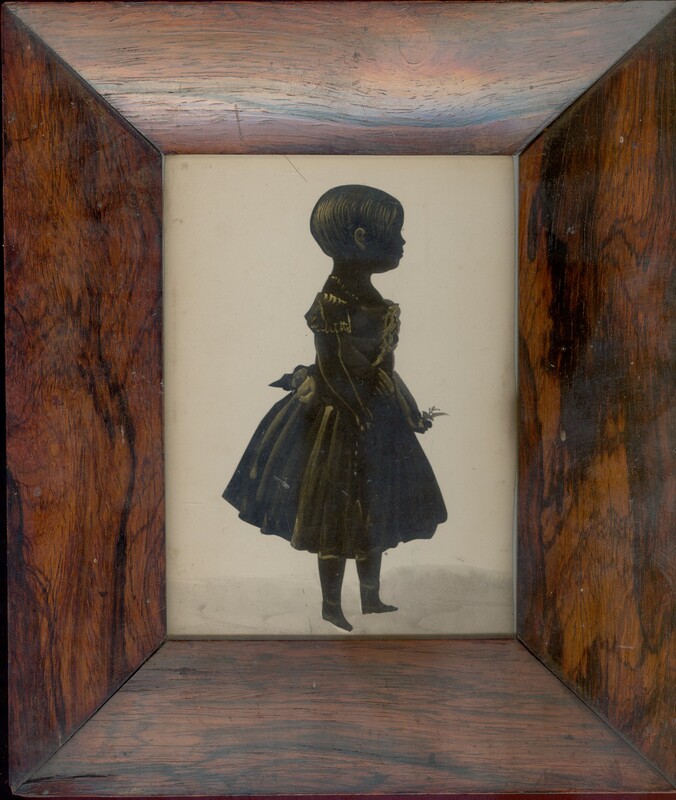 She is wearing a dress with short flounced sleeves and a wide skirt tied at the back with a ribbon bow. She has a beaded necklace and is wearing bootees. 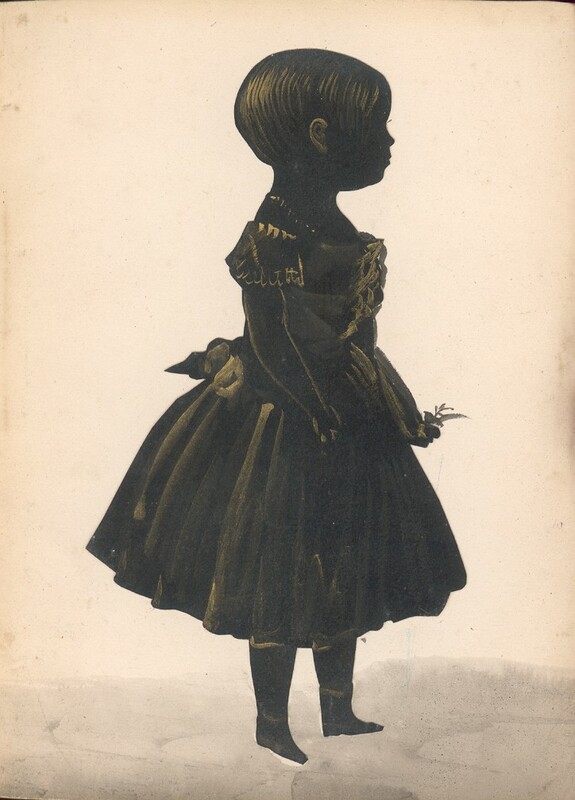 The silhouette is cut and gilded with a light watercolour wash backdrop. 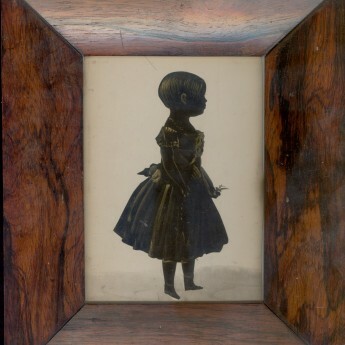 It is housed in a rosewood frame.